If you haven’t heard the name Tesla it will probably be because you don’t have to pay nearly 60€ to fill your car’s tank every week as I do, and therefore you don’t read technical articles on electric cars praying for its arrival in Spain sooner than later. Tesla was founded by the South African Elon Musk who in 2003 wanted to prove that electric cars could be better than petrol-powered cars. With instant torque, incredible power, and zero emissions, Tesla’s products presume of cars without compromise. Each new generation will be increasingly more affordable, helping the company work towards its mission: to accelerate the world’s transition to sustainable transport. Well, this gentleman has come out with what I consider to be an excellent idea; the solar roof. Musk said in public that he had just met his new team of solar engineers. He then released the bomb: "Tesla's new solar roofs will cost less than the traditional ones currently being installed in homes." And the statement has no trick. That is, he explained that the calculations have not been made after discounting the savings in the energy bill of the family. Manufacturing and installation will be cheaper without regard to what households will save in paying electricity companies. If Musk fulfils this promise, it will be a real turning point for solar energy. Up to now the costs of installing panels in a house were so high that it will require at least 10 years to compensate for the energy savings they entailed. Basically, his proposal is: “would you like a roof that is more beautiful than the standard roof, lasts twice more, costs less and also generates electricity? ", Musk commented. "Why would you choose another option?" He asked those present. Despite everything, Bloomberg ensure that something must be taken into account: the new roof tiles are at the moment a premium product, at least at the beginning. They point out that the terracotta and slate roofs that Tesla tries to imitate are among the most expensive roofing materials on the market, costing up to 20 times more than the usual cheaper tiles…for the moment. 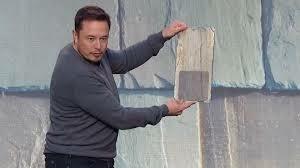 Tesla presented on 28 October a power generating roof tile, a product made in conjunction with SolarCity. Musk reported that the installation of these roofs will begin "at some point next year" and its production will start "in eight or nine months," he said, nothing on whether California will be the starting point because it is the largest market for solar. Mr Musk he said: "Our goal is to make roofs more beautiful than standard roofs" and of unlimited duration, because "they will be manufactured in quartz,". It’s easy to dismiss the aesthetic importance of how Tesla’s tiles look, but it’s actually important especially for us architects, and a real consideration for homeowners looking to build new homes or rehabilitate their existing ones. The appearance of the tiles, which come in four distinct styles (Textured Glass, Slate Glass, Tuscan Glass and Smooth Glass) is going to be a core consideration for prospective buyers, especially those at the top end of the addressable market with the disposable income available to do everything they can to ensure their home looks as good as it possibly can. Like everything else the system must be tested in sufficient quantity and time so as to have enough data to make a concrete recommendation, however I can safely say that you should earmark this one and be on the crow's nest for its future development, it can be an innovative clean solution which can prevent the atmosphere from a lot co2 emissions.